At this point, Google Calendar, or GCal, is the king of online calendar services. It has amazing features and tricks Avoid the Stress of Over-Scheduling with 10 Smart Google Calendar Tips Avoid the Stress of Over-Scheduling with 10 Smart Google Calendar Tips The secret to de-stress using a calendar is simple: cut out the things that you don't need, make time for the things you love, and keep it all organized. Use these ten tips. Read More that no free calendar offers. Naturally, more developers are keen to make GCal better, and have built some amazing extensions for it. Unfortunately, developers seem to concentrate on Chrome. Yes, if you’re an avoid GCal user, this is yet another reason that you’ll be stuck in Chrome even if you hate it I Hate Google Chrome But I'm Trapped In It. Here's Why I Hate Google Chrome But I'm Trapped In It. 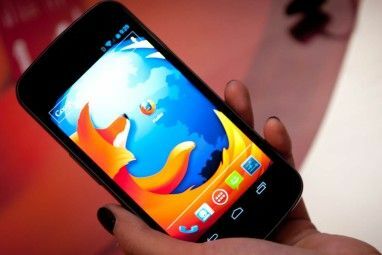 Here's Why In the Chrome vs. Firefox war, I'm siding with the Google users. But I don't want to. Chrome is my browser of choice because it has features that I can't live without. Read More . But let’s not worry about that. After all, you can install Chrome extensions in Opera or other Chromium browsers, and you might soon be able to use Chrome extensions in Firefox Running Chrome Extensions in Firefox: What You Need to Know Running Chrome Extensions in Firefox: What You Need to Know Soon, you'll be able to run your favorite Chrome extensions in Firefox. This game-changing development is likely to bring about a new renaissance in Firefox users and revolutionize the way extensions are created. Read More . So let’s look on the bright side and think of how to make Google Calendar better with the right extensions. 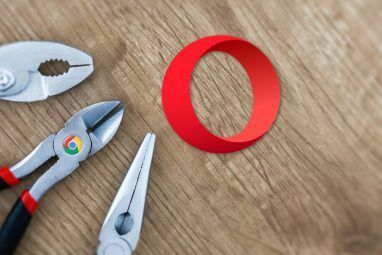 No points for guessing that the most important extension is made by Google itself 4 Extensions by Google That'll Speed Up Your Chrome Workflow 4 Extensions by Google That'll Speed Up Your Chrome Workflow Google maintains several Chrome extensions that are actually quite useful. Here are the best ones to use if you want to save time and improve your productivity. Read More . There are three main aspects to this extension, which takes care of common uses of GCal by regular users. Browse Calendar. Your events today and tomorrow are displayed in a handy little pane so you don’t have to open Google Calendar in a separate tab. Add an event. Tap the icon, tap the red-colored plus icon, and use simple language to add Calendar events. It works flawlessly. Additionally, it’s a shortcut to add a calendar-like listing on any page. For example, if you see “Poker Game! Meetup tomorrow at 8pm at the Boat Club,” select all the text, right-click, and you’ll see “Add to Google Calendar” in one of the options. Browse events. When you visit a page with several events, the Google Calendar extension icon will turn red. Click it to see all the events from that page which you can add to your Calendar. Here at MakeUseOf, we are big fans of Jason Savard and his “Checker Plus” series of extensions for Google apps. Naturally, his Checker Plus for Google Calendar made it to our list. 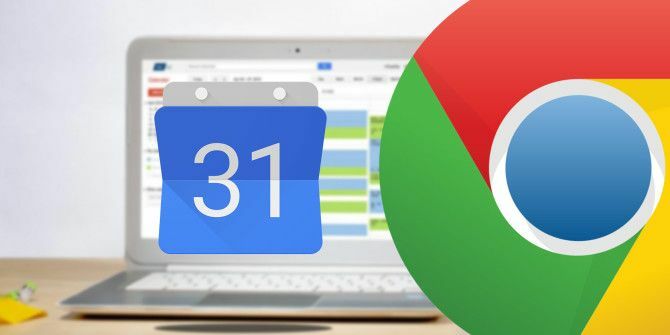 In many ways, Checker Plus is the power user’s tool Integrate Google Calendar Into Your Chrome Browser With Checker Plus Integrate Google Calendar Into Your Chrome Browser With Checker Plus When I think of any online calendar system, I definitely stuck with Google Calendar the longest. It is accessible from Google Mail, or other email clients like Outlook or Thunderbird. After a while, I always... Read More , while Google’s own aforementioned Calendar extension is the simple user’s tool. Checker Plus has so many features that you might find it overwhelming or an overkill if you don’t use GCal regularly. Checker Plus shows a full view of the current month, week, day, or agenda, letting you see all your events without opening GCal. It also has a quick view for reminders, along with notifications, much like the quick shortcut in Google Search. Checker Plus has other options like using Chrome’s omnibox to add events 11 Quick Tricks To Become A Chrome Omnibox Power User 11 Quick Tricks To Become A Chrome Omnibox Power User Do you want to become an Omnibox power user and save plenty of time and keystrokes? All you need are a few good extensions and a little knowledge of how to tweak the search settings.... Read More with a custom tag, add Facebook events quickly, and it even works offline. Speaking of Facebook Events, if that’s all you need for your Google Calendar, then this nifty little extension is wonderful. Install it and you’ll find a little “Add to Calendar” button on any Event page you visit. Click it and it’ll be auto-added to GCal, along with all the details. Simple and easy. There is a lot to be said about using colors for enhanced productivity. Different colored labels in Gmail can make a big difference Rediscover Gmail Labels and Finally Tame Your Inbox Rediscover Gmail Labels and Finally Tame Your Inbox There are plenty of tricks to deal with email overload, but there's one right under your nose that you might not be using: good old Gmail labels. Read More in how you take care of your inbox. So apply that strategy in Calendar with G-Calize, which lets you color-code days of the week. Start the extension and you’ll be asked to choose a color for each day of the week. Once you set your preferred color, you’ll see it in all four major views: agenda, day, week, and month. It’s obviously a bit useless in the “day” mode, but with agenda, week, and month, it serves as a quick visual cue. If you’ve used a color-coded calendar or planning diary in the past, you will well know how productive it can be. G-Calize is bringing that function to your digital calendar! The left sidebar of Google Calendar is filled with a bunch of junk you probably don’t use on a daily basis. Do you really need that “My Calendars” pane or the month’s view? No! So get rid of it to expand your screen space. Collapsible Nav is a simple extension that adds a little collapse bar to your GCal. Click “<<” next to “Create” and the left sidebar will disappear. Click the “>>” next to “Calendar” and the sidebar will appear. One of the cornerstones of time management is understanding just how long you take on a task. Poor estimations affect our ability to schedule tasks, and the easy solution is to start tracking time for each action. Toggl is a well-known time tracking tool Toggl Helps You Discover Where Your Time Goes Toggl Helps You Discover Where Your Time Goes If you're like most people, your job (or jobs) requires that you focus on more than one task every day. It's easy, under such circumstances, to have no idea which tasks are taking up most... Read More , but its Chrome extension for GCal is just brilliant. It adds a little button to your Chrome and it syncs with your Calendar. Start the timer when you’re using Calendar and it will count how long you take to complete your task, till you stop the timer. Use Toggl religiously for a couple of weeks and then review its findings. You’ll be surprised to find how often you underestimate or overestimate the amount of time required to finish recurring tasks, which will let you more precisely allocate time for them in the future. You obviously don’t have the ability to maintain a calendar for all your interests. Hey, you might know your office schedule, but do you track when your favorite team is playing next, or when the next big celestial event is coming up? Just relax and leave it to UpTo, a fantastic pre-made event calendar 5 Awesome Event Calendars to Always Know What's Coming Up 5 Awesome Event Calendars to Always Know What's Coming Up Birthdays, soccer games, office parties — they all have a place on your calendar. But how do you keep track of them? Event-tracking calendars will keep you updated about what's happening around you. Read More plugin. UpTo appears in the right side of your GCal, showing different events. You’ll need to add “interests” first so it knows what to show you. Once that’s done, UpTo works as a calendar of unimportant interests. You don’t need to allocate time for these, but you know these are the events happening around the world today. Most of the calendars in UpTo are made and maintained by regular users, so you are basically following them for shared geeky interests, much like you would follow geeky Facebook users. Before you subscribe to a calendar though, make sure it is updated regularly! How Do You Make Calendar Better? 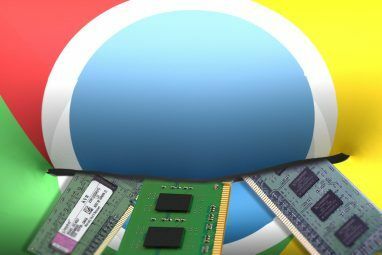 Of all these extensions, Google’s official extension is best for newbies, Checker Plus is great for power users, and G-Calize is a must-have no matter what kind of user you are. But what about other Calendar tools? Are there better options than UpTo, like GCal’s own suggested calendars? Have you found any other extensions that are as good or better? We’d love to know how you improve Google Calendar! Explore more about: Browser Extensions, Google Calendar, Google Chrome. The Google Chrome Keyboard Shortcuts Cheat SheetAre You Using the Best Web Browser for Linux in 2016? Is there an extension that would enable you to turn gcal events into tasks that you can check off within the calendar? I tried using google tasks within calendar but it's far too limited - you can't see how long the task takes and you can't see the task at a specific time of the day. are there any extensions you know of that would force synced calendars in your google calendar to update? There is something wrong with the google calendar that makes it just stop updating linked calendars sometimes. And there's a 3 year long thread on this problem and Google isn't fixing it. Yes, if you’re an avoid GCal user, this is yet another reason that you’ll be stuck in Chrome even if you hate it. Great list, thank you! Immediately I add four of these extensions.